The prison chaplaincy in Missouri began in 1843, four years after the construction of the Missouri State Penitentiary, with the Missouri General Assembly’s passage of Article 21. Since then, then the department's attention to spirituality has grown to accommodate multiple faiths; to provide chapel libraries and special programs; to include many forms of worship and study; and to support community partners and programs. 2018 marks 175 years of the prison chaplaincy in Missouri, and we're celebrating this fall. On Sept. 19, chaplains from throughout the state gathered in Jefferson City for an annual training session and a reception marking the momentous anniversary. 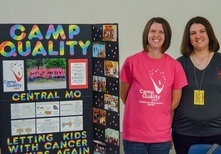 The Missouri State Employee Charitable Campaign is underway! We're excited to help fund awesome organizations that support veterans, kids with cancer, food security and corrections officers and their families. Stay tuned for fundraising activity announcements. 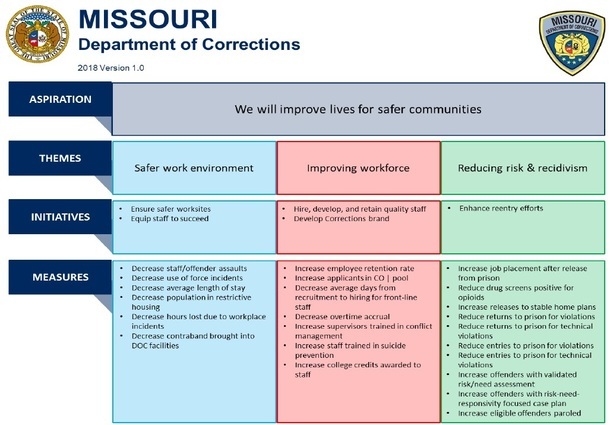 Last year corrections staff raised more funds than any other state agency. Let's claim our top spot again! 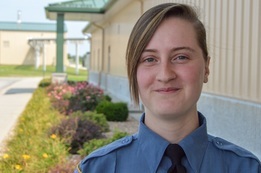 Alexander Fairchild, a Corrections Officer II at Western Missouri Correctional Center, is the September 2018 Missouri Department of Corrections employee of the month. COII Fairchild looks out for his coworkers. When an offender attacked a fellow officer — slamming a door on his head and then repeatedly punching him — Fairchild responded instantly to the 10-5 call. Finding the offender poised for another attack, he intervened without regard for his own safety. He gained control over the offender and restrained him, saving the fellow officer from sustaining more serious injuries. Research shows that people who were bullied as kids or teens are significantly more likely to be convicted of crimes and to end up in prison. During October, National Bullying Prevention Month, join us in spreading the message that there's no place for bullying in Missouri communities. Made by the Jefftown Productions offender media team in Jefferson City Correctional Center, Evolve, an original animated music video, examines the roots of bullying and violence — and explores how we can evolve. October is Domestic Violence Awareness Month, and we're showing support for victims of these crimes. 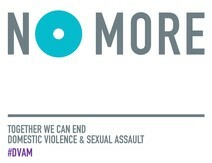 Download and print a sign from the national DVAM site. Fill in the blank. Take a selfie. Then send your photo to doc.media@doc.mo.gov. We'll share our support through social media with the hashtag #DVAM. Contact the Office of Victims Services to find out what else you can do to help. Missouri Department of Corrections employees have been honored with the Lifesaver Award for heroic acts. Working on and off the clock, these heroes rescued fellow Missourians from a traffic accident, from choking, and from exposure to dangerous narcotics. Corrections Officer I Alfred Buehlman and his Maryville Treatment Center colleagues were having a post-CERT- training lunch when a fellow patron started to choke. COI Buehlman rushed to her aid, performed the Heimlich maneuver and saved her. Deputy Division Director Ryan Crews presented him with a Lifesaver Award. Jefferson City Correctional Center Warden Eileen Ramey (left) and Major Myles Strid (far right) presented the Lifesaver Award to Jefferson City Correctional Center employees (from left) Corrections Officer I JoaQuin Ray, Corrections Officer I Weston Phelps, Captain Richard Corser and Corrections Officer I Todd Pitford. Your great work is making headlines! 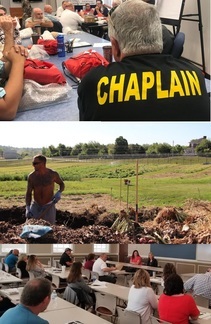 Check out news media coverage of workforce development programs, the Justice Reinvestment Initiative pilot program, Restorative Justice Gardens, chaplains and more! Flu season is here. Get the facts. Then get the vax. Protect yourself, your coworkers and your family by getting a flu shot at your facility. Download a consent form from the MODOC Intranet. Stay tuned for vaccination dates. As part of the plan, the department has introduced 81 initiatives in these three areas, and 55 are focused on employees. In one major category, improving the workforce, most initiatives have been completed or are underway. 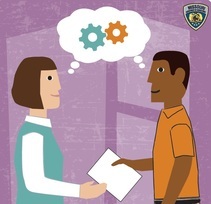 We're working hard to recruit and retain staff and to make the Missouri Department of Corrections a great place to work. Teamwork is essential to everything we do. It helps ensure safety. It makes us stronger. It even brings a little more fun to our daily jobs. Listen to your coworkers, and show empathy. Share ideas, and collaborate on projects. Work together to solve problems and resolve conflicts.